If you loved The Wizard of Oz, you'll love accompanying Dorothy on this second thrilling adventure based on L. Frank Baum's "Oz" books! 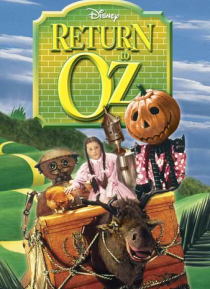 Dorothy finds herself back in the land of her dreams...and makes delightful new friends (like Tik Tok, Jack Pumpkinhead, and the Gump)...and dangerous new enemies (the creepy Wheelers, the head-hunting Princess Mombi, and the evil Nome King). With every twist in t… he yellow brick road, you'll find awesome new surprises and special effects that will astound you!